Canada’s proposed licensing structure for recreational marijuana will create significant opportunities for additional players, and “hundreds” of businesses are positioning themselves to capitalize on the market – even before the final regulations have been released. Growers of starter materials, such as nurseries that cultivate seeds, clones and starter plants. These proposed licenses – put forward by Health Canada – are separate from the marijuana legalization bill adopted by the Senate last week. Larger licensed producers are already on track to dominate the adult-use market, but the government wants to open the door for small-scale growers with the new rules. Small-scale growers will be allowed to cultivate plants and produce seeds and fresh and dried cannabis. Provinces will have the ability to decide to whom their products are sold. The crop area for micro-cultivators will be limited to 200 square meters (about 2,150 square feet). How distribution will look in each province. Whether provinces will allow farm-gate sales. Have a criminal conviction but want to apply? Criminal records are just part of a larger equation when it comes to security clearance, so a conviction doesn’t preclude one from applying. Deepak Anand, vice president of government relations for Cannabis Compliance, said he’s spoken with hundreds of people in British Columbia alone about the proposed licenses. “If you truly want to run a craft grow, then this is a good way to do it,” he said. Partnering with an existing licensed producer (LP) will be an attractive option for some craft growers, who will find it difficult to get product to market otherwise. That’s the plan for Curtis Albright, CEO of Abbotsford, British Columbia-based Cannabis Brothers. “We will be going micro with just over a 2,000-square-foot greenhouse, growing 700 completely organic plants with very specific types of genetics (and strains) native to the Netherlands and Africa – and with a very high THC content,” Albright said. Burgeoning micro-producers are already starting to form relationships with LPs, said Jaclynn Pehota, principal consultant with Vancouver, British Columbia-based Althing Consulting. “I know that there are people in the market who have already approached micro-producers to start building those relationships,” she said. And don’t think about circumventing the canopy limit by growing cannabis on vertically arranged spaces; officials note that it applies to the total growing area, not just floor space. The new rules also establish a separate license for nurseries that allows for the cultivation of any variety of cannabis plants, as well as the production of seeds and seedlings. Nurseries also might be authorized to sell plants and seeds to other licensed cultivators, processors and researchers, the general public or government-authorized sellers. People looking to grow cannabis at home. “As far as the market potential is concerned, it’s pretty significant,” Anand said. “You’re talking about all the people growing at home and all the new licensed producers that are going to come online. How the government will permit that flow to take place: Will it be just nurseries that import genetics, or will LPs also be allowed? Whether consumers will buy genetics for home cultivation from nurseries, licensed producers or both. Whom the nurseries will and won’t be able to sell to. 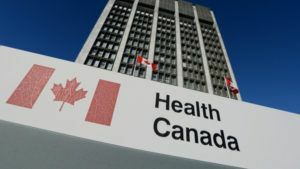 Health Canada has indicated that rules on infused products – skin care, edibles and drinkables – will come one year after the Cannabis Act is passed, which will open additional opportunities. Some companies aren’t waiting to start making partnerships. Toronto craft brewer Amsterdam Brewery has partnered with MedReleaf, a licensed producer of cannabis-based medical products in Markham, Ontario, to produce San Rafael ’71 4:20, a “cannabis-inspired” beer. The pale ale does not contain cannabis, but Amsterdam Brewery owner Jeff Carefoote said his company has plans for an infused beer once legalization clears the way. Some in the industry believe edibles and drinkables will be the wave of the future. “I’d be willing to bet that, within a couple of years of legalization, about half of consumption will be in other forms – concentrates, vape blends, a range of infused products, edibles, drinkables,” said Matt Shalhoub, managing director of Toronto-based cannabis investment fund Green Acre Capital. The Cannabis Act and the new industrial hemp license set out clear guidelines for hemp. The Cannabis Act clears the way for whole hemp plant utilization, which companies like Hempco have described as “a complete game-changer.” Much of the plant is currently discarded. Industrial hemp licenses would authorize the intra-industry sale of leaves, flowers and branches (or the whole plant). That means licensed industrial hemp producers could sell the flower to someone who has permits to process and sell CBD. Wendy Hulton, a Toronto attorney who represents cannabis producers, says interest is extremely high in industrial hemp licenses, but the proposed licenses are too narrow. “I still think we need a little more scope with the industrial hemp licenses to do what the industry wants to do,” she said. If we are going to legalize it make it all legal………… it is only pot some of us have been smoking it for 50 years already, had normal lives brought kid’s into the world owned houses held jobs, what’s the big deal? thanks..for all those informations…I have an importante Question…” What s the Adresse To get a DISTRIBUTOR LICENCE…Please?